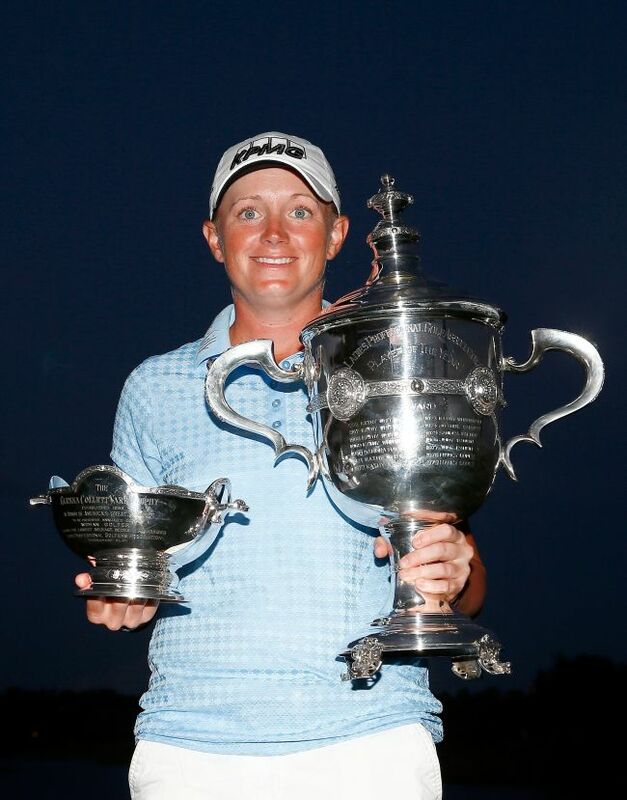 NAPLES, Florida (AP) ― Stacy Lewis became the first American in 21 years to sweep the three biggest awards on the LPGA Tour, which she considered more valuable than a $1 million bonus. Park In-bee, the No. 1 in the world, was the only player who could have kept Lewis from the awards. She trailed in all of them, but struggled all week at Tiburon Golf Club and finished in a tie for 24th, four shots worse than Lewis. Lewis finished atop the money list with $2,539,039, more than $300,000 over Park. Her scoring average was 69.532, while Park was second at 69.682. Michelle Wie was third in the Vare Trophy standings (69.818), followed by Ryu So-yeon at 69.978. Lewis won three times this year, though she failed to do so at a major. Still, she wouldn’t trade what she ended up with. DUBAI (AP) ― Henrik Stenson birdied the last two holes Sunday to successfully defend his DP World Tour Championship title at the European Tour’s season-ending event. Three of Stenson’s teammates on Europe’s victorious Ryder Cup team ― top-ranked Rory McIlroy (68), Victor Dubuisson (68) and Justin Rose (69) ― shared second on 14-under 274.